Come and join us as we walk in the Lake Orion Lighted Holiday Parade! We had such a great time last year! It's the dog days of summer, enjoy them a little more by coming out and celebrating National Hot Dog Day! We will be out in front of the Trout Lake Beach area. Lawn games and shenanigans will be in supply! We look forward to seeing you there! 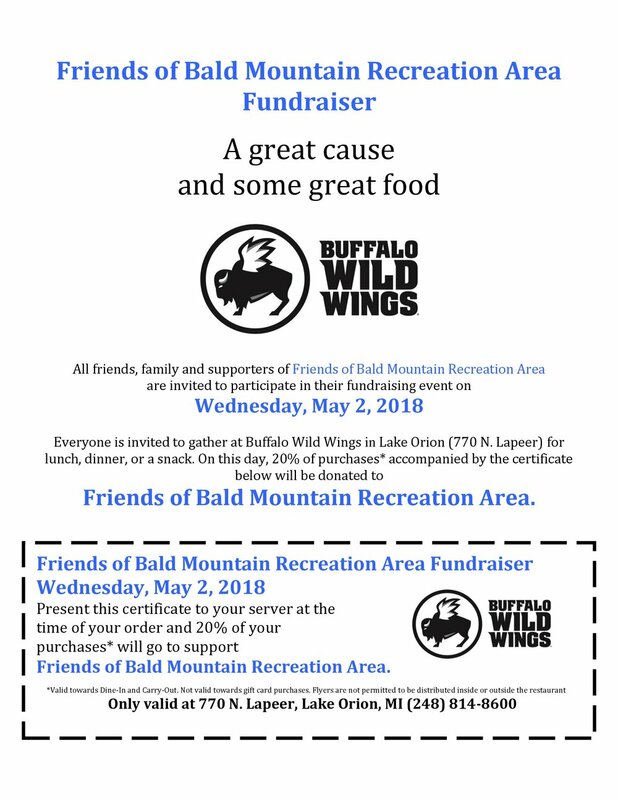 Please join us at Buffalo Wild Wings in Lake Orion for our second Dine to Donate fundraiser of the year. We have a lot of things going on this year help us by going out for lunch or dinner and 20% of your food bill will go to us! The event is good for dine in and carry out and goes all day just make sure to take your flier with you!